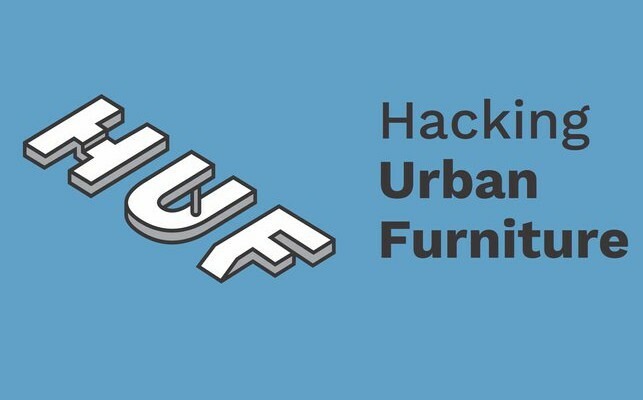 Tonight, Gilly Karjesvky will present at the Hacking Urban Furniture conference, which closes a two year project and idea competition at the ZK/U Berlin. Creative commons was a solution to a problem of regulation. In the vast public space of the internet, its is virtually impossible to regulate how materials, words, images, sounds are being reused or appropriated. Basically, anything you put up online, is up for grabs. This is both wonderful and frustrating. Because as a creator – the exposure you can receive online is enormous, but the appropriation of your work is inevitable. Now – if you think of intellectual property law, this is a disaster. Along came the brilliant idea of creative commons – recognised the inability of online-ness to be regulated and enforced, of property to be protected in online public space and provided a solution. As a creator, you can license – not a law and not a regulation – you can license your work with the intention of it being appropriated by someone else for reuse, remix or re… under certain terms that you yourself can pick and chose out of a ready menu. Thus creative commons put forth the framework for an alternative to the intellectual property law, by offering a modular, easy to change, easy to appropriate, model for licensing. Now, as an urban practitioner its hard to ignore the vocabulary that creative commons offers – from property law, over the rollercoaster of regulations, to the free world of licensing in order to establish a new commons. As an urban practitioner you can draw a simple yet invisible line from virtual public space, to real public space. You see where this is going? So what are the laws and regulations that govern real world public space? Today the common use defined by the berlin street & side walk regulations is really actually very simple – and this loosely translate from German in order to fit to my rhetorical purposes here – “Going beyond common use is defined as not using the streets for transportation but for other purposes” and they go on to detail “every use that goes beyond the commons use is in fact a special use and requires a permit from the street and sidewalk administration”. So basically, any use that is not the “common use”, i.e transportation, can be regarded as, well, essentially, creative use. Anyone in this room and beyond that had to deal with the public space permit system knows the kinds of ins and out the systems’ own bureaucrats need to find in order to allow creative use of public space. The kind which makes our cities more liveable and less boring and mundane. The kind you put in city branding brochures that cost more to print then my annual paycheck. You know – public art. Anyways – my point is – the process of getting a permit is very often a mockery of the system of permits itself. And that’s how we decided to put an end to the mockery, or at least, suggest to put an end to this mockery, and diverge from the permit system to the licensing system of playful commons. A modular, easy to change easy to appropriate model for licensing. So how does it work? As simple and as gruelling as it sounds. Owners of spaces and users of space come together and negotiate a set of do and dont’s, supported by additional terms. for example, “you can pick the bananas” would be a do, “but as long as all the monkeys are happy” would be a term. Or “perform loud Japanese noise music” would be a do, and “as long as there is no one objecting” would be a condition. Once agreed upon the rules and conditions go on a sign and that sign is placed in public space, and voila – You have a Playful Commons! You can now pick those bananas!